Paris Weekender - Weekly Get-to-Know-Paris Challenge #5! This is the first official week of Spring! And the flowers are already blooming in Paris’s many parks. This week, take some time to visit a park – walk or jog around, picnic, sit and read a book, or visit a park you have not been to yet. 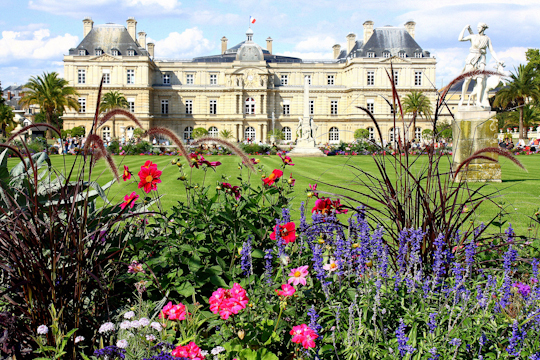 Some of my favorite parks in and around Paris are the Jardin du Palais Royal (1st), Jardin de Luxembourg (6th), Tuileries and Jardin du Carrousel (1st), Jardin des Plantes (5th), Bois de Boulogne (west of Paris), Bois de Vincennes (southeast of Paris), Garden of the Rodin Museum (7th), Champ de Mars (7th), Parc Monceau (17th), Parc des Buttes Chaumont (19th), Parc de la Vilette (19th), Parc de St. Cloud (Boulogne) and Parc de Sceaux (Sceaux).